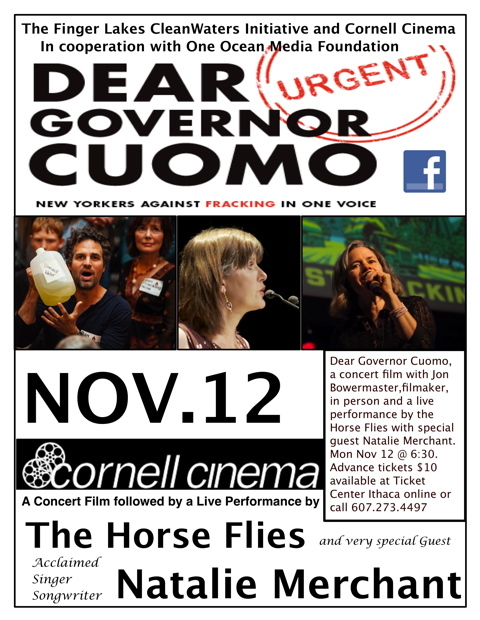 Monday, November 12, 2012 at Cornell Cinema in Ithaca, New York. 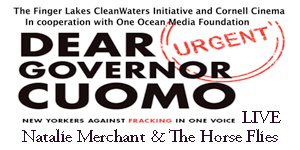 Dear Governor Cuomo, a concert film event with Jon Bowermaster, filmaker – live and in person- and joined by the Horse Flies performing a live soundtrack with special guest Natalie Merchant. Tickets are available in advance for $10.00 from Center Ithaca. Visit in person or call 607-273-4497.